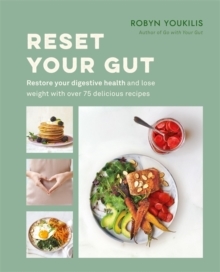 Reset Your Gut, with a foreword by Robin Berzin, MD, focuses on healing the body from the inside out, resulting in weight loss that's both sustainable and delicious. Whether you want to address digestive issues or lose weight, or both, this plan will help the reader in a way that nourishes, not deprives. After struggling with her weight in the past, Robyn understands that the desire to lose weight is not just about a number on the scale; it's a sign that we want something to be different in our bodies, but even more so, in our lives. Part coaching guide and part cookbook, RESET YOUR GUT helps readers optimise their digestion and shed weight for good. The first six chapters cover Robyn's revolutionary tools including her four step 'Go with Your Gut Weight Loss Formula' that provides an easy and memorable framework for the practices she teaches in the book, and her 'Good Gut Rule of 5' that teaches readers exactly what to put on their plates at every meal. RESET YOUR GUT also includes Robyn's 'Good Gut Reset' - a complete meal plan that will effectively reset the gut and jumpstart weight loss in just three days. The second half of the book has over 75 delicious and colourful recipes that cover every occasion and craving. 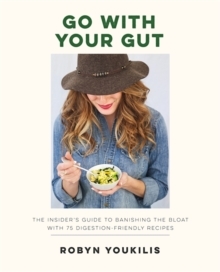 From Robyn's game-changing Power Yogurt Parfait, to her Warm Cauliflower Salad and her clever Spaghetti Switch-Up recipes, RESET YOUR GUT readers will feel supported and satisfied while naturally dropping weight. Most of the practices in this book can be done anywhere from home to office to on-the-go, and the recipes are adaptable for any diet from vegan to paleo. Robyn's straightforward but supportive coaching style makes reading the book feel like getting advice from a very in-the-know friend who truly wants you to succeed. Her weight loss philosophy is simple and easy to follow: Your body wants you to feel good, and the best way to reach your natural weight is to keep your gut flora happy and balance the other parts of life that 'weigh' you down. Together, these two forces will have you looking and feeling fabulous.